The Church of God, with U.S. offices in Anderson, Indiana, began in 1881 as a movement waving the banner of salvation in Christ alone, the unity of believers, and the holiness of God’s people. Early leaders, such as Daniel S. Warner and Mary Cole, sought to forsake denominational hierarchies and formal creeds, trusting solely in the Holy Spirit as their overseer, and in the Bible as their statement of belief. These individuals saw themselves at the forefront of a movement to restore unity and holiness to God’s church. Their aim was not to establish another denomination, but to promote primary allegiance to Jesus Christ and transcend denominational loyalties. Jesus was the subject then, and Jesus is the subject today. Since 1891, when the movement’s first missionary was sent to Mexico, the Church of God has continued to grow into a multinational community of faith. Average weekend attendance in the congregations of the United States and Canada totals approximately 230,000. 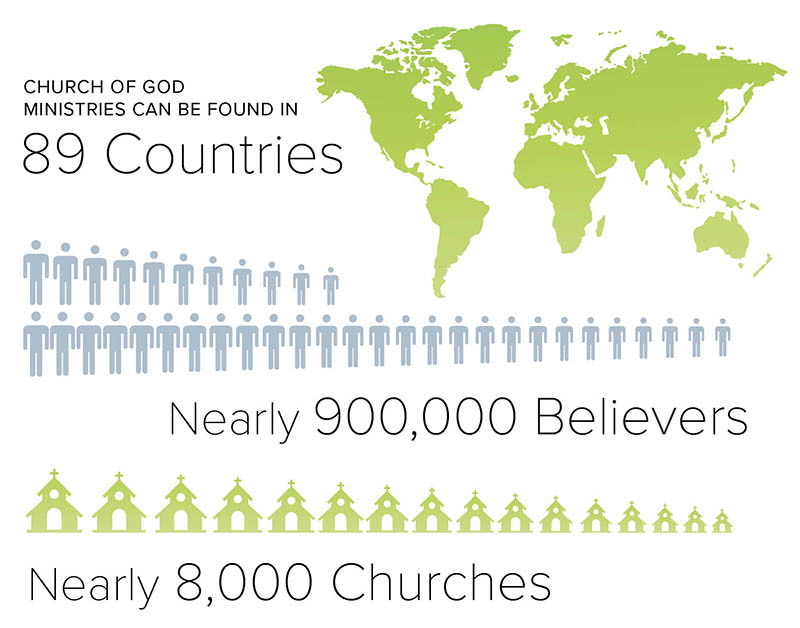 There are approximately 2,100 congregations in the United States and Canada. Globally, the movement has work in eighty-nine countries and territories representing more than 7,800 churches and 887,000 believers.